ALLENTOWN, Pa. – Michelle R. Stringer, Allentown, Pa., has been elected Chairperson of the Allentown Art Museum (AAM) Board of Trustees for two years as of July 1, 2018. She said she and the board are committed to expanding the visionary path established by her predecessor, Dolores A. Laputka, Esq. “We are building upon our continued commitment to teach, inspire, transform, and engage the community in novel and meaningful ways that will enable us to be a catalyst for positive and inclusive change throughout the Lehigh Valley,” said Stringer. Stringer joined the AAM board in 2016. Before being elected Chair, she headed the Development Committee, lead the Kress Society, and founded Circle 31, whose mission is to identify and inspire a new generation of patrons and future leaders charged with advancing the Museum’s reach and impact. 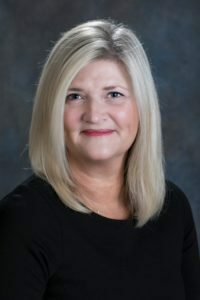 She is joined on the Executive Committee by officers Henry T. Lyons (Vice Chair), Jamie P. Musselman (Secretary), and Alexander Torok (Treasurer), all of whom also have two-year terms. The AAM’s expanded global vision, articulated in the recently announced strategic plan, has been manifested in public engagement efforts reaching underserved populations; in recent exhibitions such as Women of Vision that provided a platform for exploring multiple cultures and perspectives by 13 extraordinary women photographers; and in the commissioning of Girl Balancing Knowledge III – a sculpture that addresses questions of identity in a complex, globalized society – by internationally renowned artist Yinka Shonibare MBE. At a July 24 evening reception attended by members of the AAM’s Kress Society, Circle 31 members, and special guests, Sanford T. “Sandy” Beldon was honored for his 28 years of service to the Museum in various capacities, including board Chair and interim executive director. 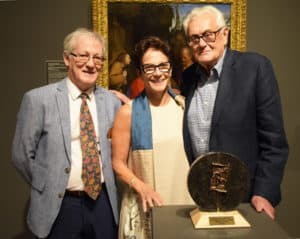 Sandy was presented with an original sculpture by artist and fellow AAM trustee Dan Kainz in recognition of his leadership over nearly three decades. He will become an Honorary Trustee. Hon. Percy H. Dougherty, Ph.D.